Limerick Under-19 manager Tommy Barrett says there are “encouraging signs” ahead of next season, after his team concluded their Promotion Playoff Group with a 3-2 win over Mervue United at Fahy’s Field on Thursday evening. The young Superblues got off to the worst possible start when they conceded a penalty inside a minute but Nathan Murray produced a fine save from Padraic Cunningham to keep the game scoreless. Murray was called into action again soon after and once more was equal to the task with another good stop. Limerick built on those saves and dominated much of the play thereafter. They broke the deadlock on 37 minutes with a spot-kick of their own which was expertly dispatched to the net by Shane Walsh, who again put in an eye-catching performance. It was a night when Cian O’Donoghue captained the side on his final outing at this level, and Limerick doubled their advantage before the break when Paudie O’Connor rose to connect with a good corner delivery from Seán McSweeney. 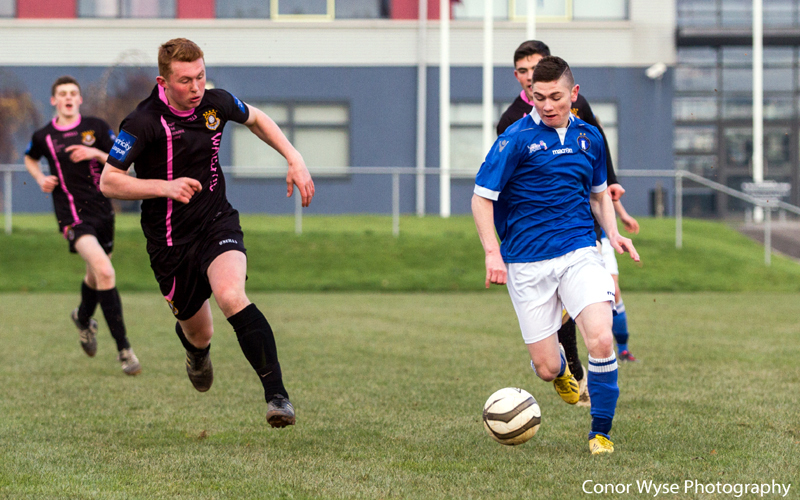 However, into the second half, from nowhere, Mervue levelled the game with two goals in as many minutes. The first came on 57 minutes from a long kick-out which was carried by the wind, with the hosts hitting the post with an effort. From the resulting corner, Cunningham finished well with a volley. Moments later, it was 2-2 when a mistake at the back gifted Mervue a chance and they made no mistake as substitute Andrew Connolly fired past Murray. The Limerick No1 then tipped Cunningham’s shot onto the crossbar. 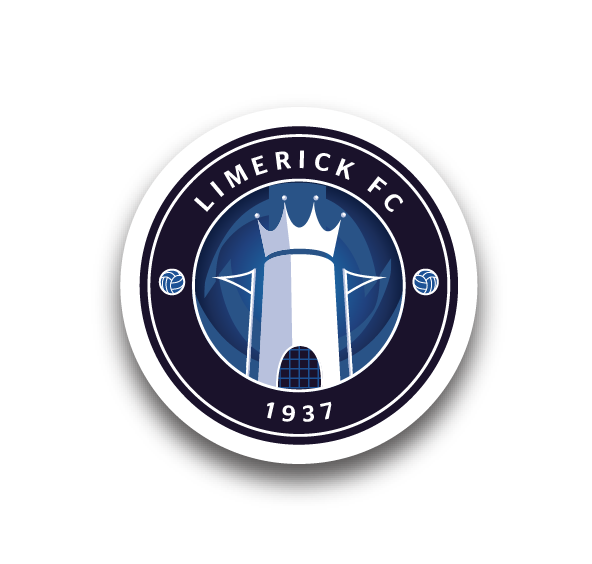 Limerick, though, were soon back in front when a mistake from the home side allowed Ross Mann in and the young forward – who scored twice against Mervue last week – added to his tally against the Galway side. Barrett’s side comfortably saw out the remaining 25 minutes and afterwards the boss was pleased with their showing, particularly that of 16-year-old Jack Lynch in midfield. 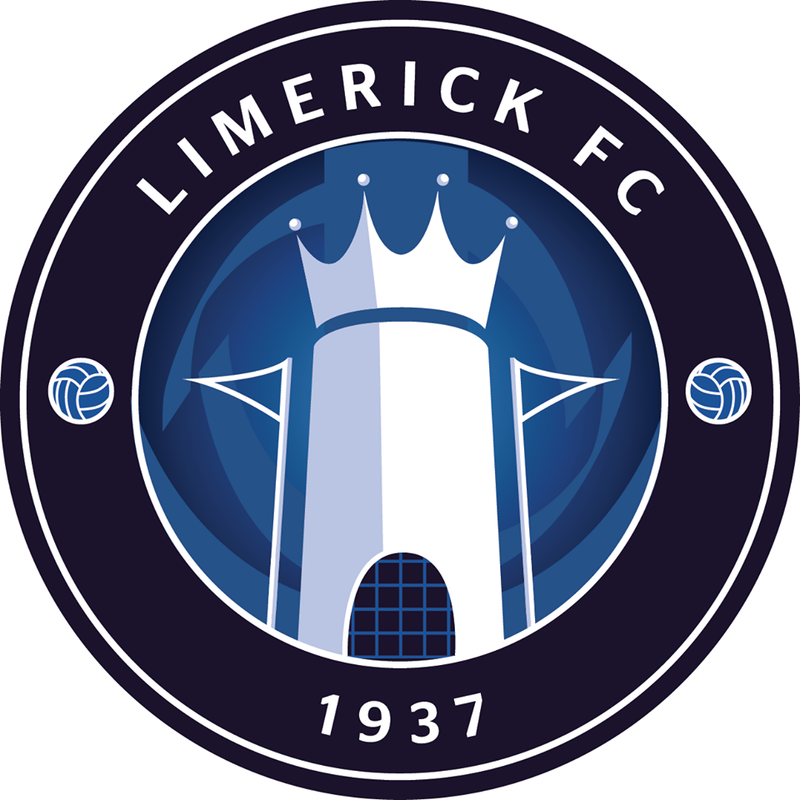 “I was happy overall with the performance,” Tommy told LimerickFC.ie. “We just need to cut out the mistakes but the boys know that themselves. “We’ve beaten Mervue in all five meetings this season and it’s a sickener to lose the Southern Division title on a technicality. It’s even worse when the player in question was signed to the club and had played with us last season. “But we look forward to next season and there are encouraging signs. We know what type of players we need to bring in. “We have a good group coming through and some very good players who were born in 1998. That is also good with a view to the proposed Under-17 League. “Everyone on the squad on Thursday, bar Cian and Nathan, are with us again next season. Jack Lynch made his first start and put in a great performance. Shane Walsh was in there with him and was very good again. “Everyone played well, to be fair. The three boys led the line well. It was Cian’s last game for us and he captained the team and did very well. “I want to mention Paul O’Leary as well. He came in and played a couple of games in the playoffs when we needed him and he was great for us. “Looking forward, it all bodes well. We have a number of players who have two years left at this level and some who have three. Limerick ended the Promotion Playoff Group with six points from their six games, those coming through two wins over Mervue. Three of their four losses came by one-goal margins. Limerick: Nathan Murray, Matt Keane, Conor Maguire, Paudie O’Connor, AJ O’Connor, Seán McSweeney, Mark Hoban (Michael Guerin 65), Shane Walsh, Jack Lynch (Ross Fitzgerald 70), Cian O’Donoghue ©, Ross Mann. Goals: S Walsh (37 pen), P O’Connor (40), R Mann (64). Unused Subs: Paul O’Leary (GK), Evan Cusack.